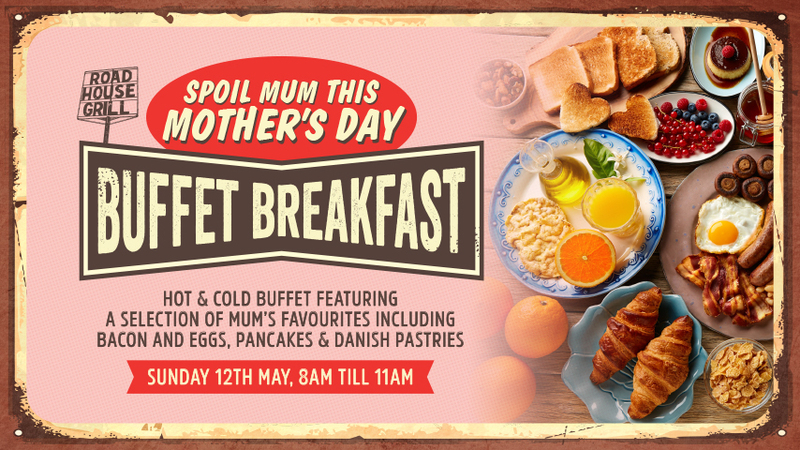 Back by popular demand, nothing says Happy Mother's Day like a Roadhouse Grill Breakfast Buffet! Spoil Mum with a great spread including a selection of breakfast favourite's... Bacon, eggs, pancakes and a whole lot more! Sit back and relax and let us do all the work! Strictly limited seating, BOOK NOW! !